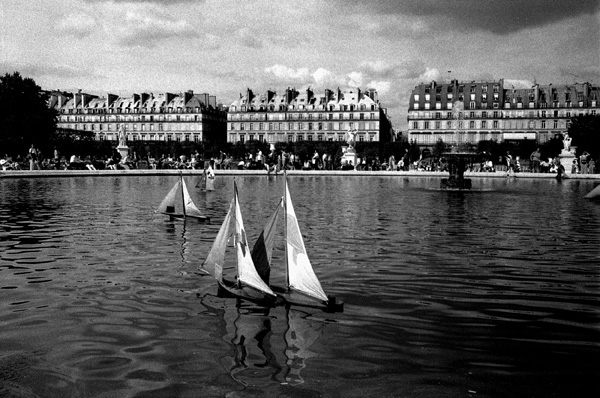 FRANCE - This image of sailing in the Tuileries Garden in Paris is from Étés francais, a collection of photographs from numerous family summer travels to France between 1996 and 2011. During each summer visit after traveling around different parts of the country, and always spending time by the beach in Brittany, we would end our travels in Paris, where our regular room at our favorite hotel in the Latin Quarter would await us. The city would then be ours for a short spell – its parks and streets and markets and museums and cuisine never ceased to amaze us.